How this design evolved ? The MIAMI MKIII is an intelligent adaptation of the extremely functional San Souci Ground floor layout, merged with the attractive architectural façade & luxury 1st floor layout of our MIAMI Upslope 41Square design. 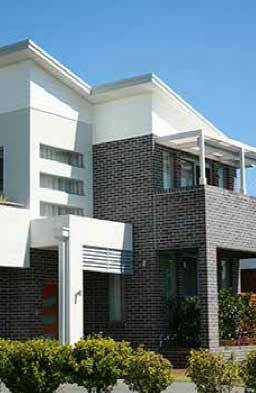 This provides an impressive overall design which boasts a Metro style façade with skillion roof profile. A luxurious Master bedroom with clear glass fixed panel over bath. 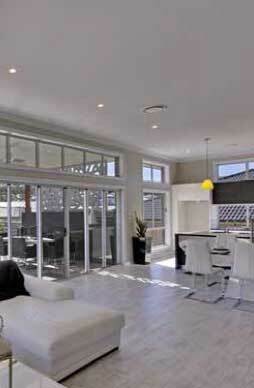 A separate parents retreat area to Bed 1 is included with 3 architectural horizontal feature windows. The 1st floor layouts boasts a large Games room forward facing which leads onto a spacious suspended concrete Balcony to the upper 1st floor with Tiled finish. All bedroom dimensions are more than generous. The layout & position of all rooms has been the impressive result of evolution with lessons learnt from our previous five (5) display homes. The Home boasts four (4) individual floor levels with stairs positions & layouts being carefully planned out to provide quick access from the Kitchen to the 1st Floor Bedrooms & Balcony. We also present a modified vesion of this design, adapted to suit Down sloping land. If your looking for a design that is certain to impress then look no further than our MIAMI MKIII.